ADEL — The Cook High School Band has been performing the music of The Monkees as their halftime show this football season as part of the celebration of the 45th anniversary of the premier of the television show and release of their first single. 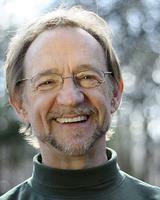 Original member of The Monkees Peter Tork will be in Adel on Friday and Saturday, Nov. 4 and 5. Tork will attend the Cook vs. Albany football game on Friday, Nov. 4, to see the band perform their show, “Hey Hey We’re The Marching Hornets.” On Saturday night, Nov. 5, he and his band, Shoe Suede Blues, will be performing in concert at the Harris Performing Arts Center. One of the original Monkees from the 1960s hit TV show, Tork has been an integral part of the music scene from before then, to now, with plenty more to come, he says. While his band usually plays a handful of Monkees hits, including a terrific rendition of “Last Train to Clarksville,” its focus in concert is on traditional blues sounds, such as those on their latest CD, “Cambria Hotel.” Shoe Suede Blues is an entertaining quartet that delights blues fans as well as Monkee fans. Tickets are $15, and the concert will be at 8 p.m. on Saturday, Nov. 5, on the campus of Cook High School. To purchase tickets or for more information, call the Adel Chamber of Commerce at (229)896-2281.